Just before Christmas Maisie and her employee, Billie see a man commit suicide in the street. The man was clearly a War Veteran and events very quickly turn Maisie back to her nursing days during the Great War. Soon after an anonymous letter is received by the police threatening violence if the comments in the letter are not adhered to. Soon, Maisie is seconded to the Police as she and the police try and unravel the circumstances of the two issues. Is that deceased man part of the conspiracy to cause chaos in London? Next some animals in an animal shelter are found dead, the potential result of inhaling a poisonous gas, and then on the back of another letter some birds are found dead. Maisie springs into action as she and Billy try to discover the truth whilst confronting their own fears. Billy meanwhile, is still struggling with his wife Doreen who can not move past her grief following the death of their little girl and soon Doreen is admitted to hospital to receive treatment. In this book, which I think is one of the best, the author has tackled some real issues for the early 1930s. There has clearly been research done into early offerings by the War Office and poisonous gases and the 1930s treatment of those who were suffering from some kind of mental illness. Jacqueline Winspear was born and raised in the county of Kent, England. Following higher education at the University of London’s Institute of Education, Jacqueline worked in academic publishing, in higher education, and in marketing communications in the UK. 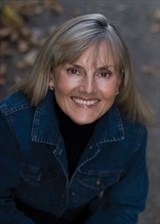 Jacqueline Winspear is the author of the New York Times bestsellers Elegy for Eddie, A Lesson in Secrets, The Mapping of Love and Death, and Among the Mad, as well as five other national bestselling Maisie Dobbs novels. She has won numerous awards for her work, including the Agatha, Alex, and Macavity awards for the first book in the series, Maisie Dobbs, which was also nominated for the Edgar Award for Best Novel and was a New York Times Notable Book. She now lives in California and is a regular visitor to the United Kingdom and Europe. I've read Elegy for Eddie and Pardonable Lies. This one sounds much more like Pardonable Lies which I really enjoyed :) I wasn't as crazy about Elegy for Eddie. I know, the spam is driving me potty! This is a great series although there was one earlier in the series that I struggled with, but it was better on a second reading.